Regent Seven Seas Cruises, the leading luxury ocean cruise line, is enhancing three guest experiences onboard it’s luxurious cruise ships. Free unlimited valet laundry service for guests sailing in Master and Grand Suites. All guests who sail in a Master Suite or Grand Suite on the cruise line’s ships will enjoy the added benefit of free unlimited valet laundry service starting in April 2019. A new Digital Guest Survey will help Regent track guest experiences and feedback in real-time. 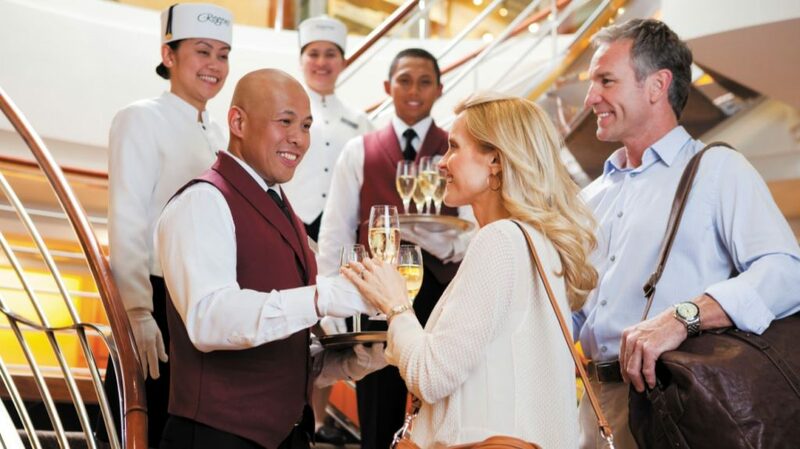 The digital survey replaces end-of-cruise paper guest satisfaction questionnaires. Guests may easily provide feedback through this web-based questionnaire during the voyage and the feedback is automatically sent to the ship’s officers and company leaders in Miami. This new system will be deployed fleetwide by October 2019. These three initiatives are Regent’s latest guest experience enhancements. Over the past year Regent has completed a $125 million fleet refurbishment program, unveiled its 2020-2021 Voyage Collection with 167 itineraries and new ports, introduced new relaxed outdoor evening dining fleetwide at the Pool Grill, debuted the most immersive luxury Cuban voyage itineraries, and revealed Go Local Tours and Regent Choice small group shore excursions – all while readying to launch its fifth ship, Seven Seas Splendor, in February 2020.